BALTIMORE (CNS) — The U.S. bishops approved making permanent their Subcommittee on the Church in Africa and the hiring of two people to assist the subcommittee in carrying out its work. The actions, in separate votes, came Nov. 15, the second day of their fall general assembly in Baltimore. 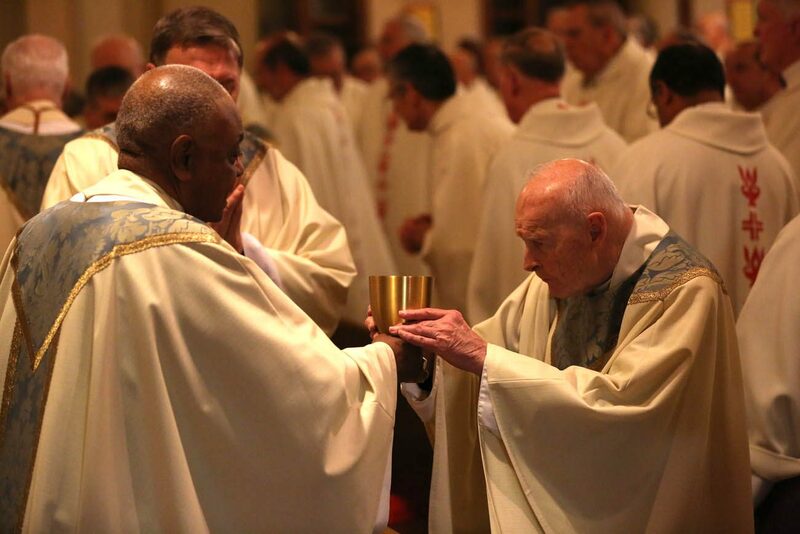 The bishops in a later vote also approved another 10-year extension for its most popular national collection, the Retirement Fund for Religious collection, which is taken up in most U.S. dioceses in early December. Regarding the Africa subcommittee, the bishops in 2004 had formed an ad hoc subcommittee to determine the needs of the Catholic Church on the continent of Africa. In 2007, they created a temporary subcommittee as part of a restructuring of the U.S. Conference of Catholic Bishops. That temporary status was extended in 2010, but was expiring this year. The subcommittee works as part of the Committee on National Collections and oversees the voluntary Solidarity Fund for the Church in Africa. From the fund the U.S. bishops give grants to support pastoral projects in Africa that support the growth of the church, such as leadership training, church administration, evangelization, communications, and justice and peace. As the subcommittee’s chairman, Cardinal-designate Joseph W. Tobin, the Indianapolis archbishop recently named archbishop of Newark, New Jersey, said $20 million had been distributed to bishops’ conferences in Africa thanks to the Solidarity Fund. To date, 69 U.S. dioceses contribute to that fund, either through a collection or some other means. The fund, Cardinal-designate Tobin said, came about when now-retired Bishop John H. Ricard of Pensacola-Tallahassee, Florida, was chairman of Catholic Relief Services, the U.S. bishops’ overseas relief and development fund. During his visits to Africa, “he was asked for support for the pastoral structures needed to help the church. CRS cannot offer that kind of help,” he added. Bishop Ricard himself has said, “Africa, for centuries, has been a dark continent … except for a tragic relationship between Africa and the United States,” a reference to slavery. “Bishop Ricard knew it was important for the U.S bishops to recognize our history and our current relationships with Africa to partner with this fast-growing part of the church,” Cardinal-designate Tobin said. Cardinal Theodore E. McCarrick of Washington, retired archbishop of Washington, who called Bishop Ricard “a hero,” drew an analogy to the USCCB’s relationship with bishops’ conferences in other parts of the world. The vote was overwhelmingly in favor, with 94 percent of bishops approving making the subcommittee permanent. Approval of the two staff positions was a bit closer, with only 81 percent approval, as concerns were raised that the salaries, paid for by the Solidarity Fund, would deplete the amount available to distribute to African bishops’ conferences. At present, the fund pays for two part-time consultants. Mary Mencarini Campbell, executive director of the USCCB Office of National Collections, said the Africa initiative would follow the model established for other regions of interest to the USCCB, with one office director and one grants coordinator. As the bishops have been loath in recent years to fund new staff positions from their own general fund, they were told by Archbishop Thomas J. Rodi of Mobile, Alabama, that the two staff positions would generate about $80,000 to an “administrative overhead allotment” that does not occur with the part-time consultants. With a vote of 155-8 and one abstention, the bishops also OK’d another 10-year extension for the Retirement Fund for Religious collection. Along with approving the collection’s extension, the vote called for a professional actuarial report to be provided to the bishops every five years. 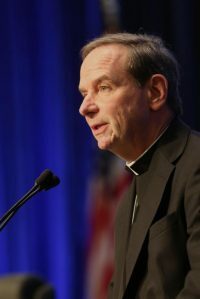 “The longer life span of men and women religious, the decline in vocations and the cost of care” have all played a part, said Bishop Burbidge, who was recently named bishop of Arlington, Virginia. “The cost of care has tripled since the collection was launched” in 1988, he said. The annual appeal regularly collects more than $25 million from Catholics in parishes around the country. In 2015, the last year for which data was available, the National Religious Retirement Office at the USCCB distributed $25 million in direct-care assistance to 401 eligible religious institutes, said Bishop Burbidge, who was recently named bishop of Arlington, Virginia. The office combines financial assistance with extensive consultative support to help religious orders increase their capacity to care for their retired members. Bishop Burbidge said the retirement office is “also making a concentrated effort to make younger women’s institutes plan for future retirement needs,” with 11 such congregations with a median age of their members under 55 participating. The need is growing more acute, as trends will show that by 2026, the number of religious over 70 years of age will outnumber those under age 70 by a 4-to-1 ratio, Bishop Burbidge noted.